Envelopes are like business cards: they present your company image to the world. They are often the first thing that anyone sees or reads about your company. Whether the envelope is used for letters, mailings, invoicing or other reasons, the importance of making a good first impression with your company envelope cannot be under-estimated. 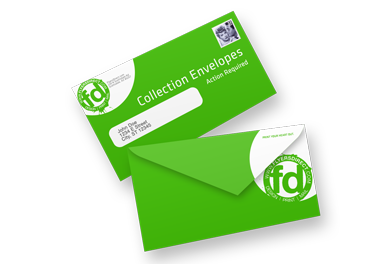 We specialize in printing envelopes in a variety of styles and sizes, in full-color on one side. With special presses specifically for enveloping printing jobs, we can guarantee that your project will be completed quickly, accurately and professionally.